Know why I call this blog Free Genealogy Tools? Go on...guess! Post a personal genealogy challenge in the Comments here. I'll pick one for some in depth research, to see what FGT can find. So...tell us about your great grandfather, who seems to have disappeared without a trace, or your ancestors who immigrated to America, even though you can't find any record of their journey. Who knows what mysteries will be revealed? Don't be afraid to go way back, to your beknighted relatives in medieval England, perhaps. Toss down the genealogical gauntlet...we'll see what we can find. So Comment away. Remember, though, this is a public webpage, so all material will be visible to my millions, er thousands umm scores of FGT readers. 1. If she's still alive, trying to locate (or get other info re) a woman born (probably in NY) Helen Lemkowitz c. 1948 to Israel (Ivan) & Edna Lemkowitz (nee Lesser). Her parents passed away in AZ. Don't know if Helen married, had a family, etc. I have more info re her parents. 2. Trying to get info re a woman born (c. 1927 in Brooklyn, NY) Elaine Saltzman to Charles & Ann(a) Saltzman (nee Blackman). Her parents also passed away in AZ. Elaine supposedly married a Joe Turner. No nothing else about her. I have more info re her parents. 1. Who are the parents of Margery Blanchard, who married Charles Timerson around 1830 probably in Cayuga County, NY? She was born 1806-1810 per US census records. Died 1883 Marshall, Calhoun Co, Mich as reported by her daughter, (Mary Elizabeth)Eliza Timerson Campbell, wife of (John?) FLetcher Campbell. 2. Who are parents of Harmonus Timerson/Tymerson, died 1850 Auburn, Cayuga Co, NY? Census records of several children indicate he, and wife Nancy, were "Born in Holland". 3. What happened to my rascal ggrandfather, Harry H Bradley? Born in 1877 in Auburn, Cayuga Co, NY, he married Mabel Horle in 1899 in Syracuse NY. Two sons: Floyd born Jan 1900, Raymond b 1906. Harry was arrested and jailed at Onondaga Co Penitentiary for family abandonment in late November 1905 (I have family letters about this great social indignity bestowed on Mabel). He disappeared by 1910 when Mabel lists her civil status in Auburn NY census as "Divorced"; in 1920 she lists civil status as "Widowed". 4. 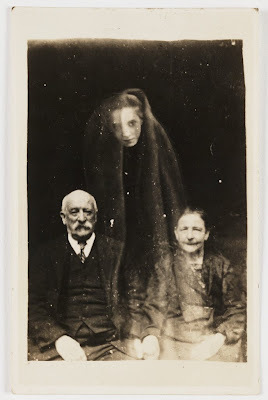 Grandparents of James Harl/Harle/Horl/Horle, baptised 1783 in Hutton, Somerset, England. Father was James Harl/Harle/Horl/Horle, mother Hester Rowley/BOwley, who married in Banwell, Somerset England October 1779. Happy to share whatever info I have already. I have two brick walls. One is John McGown or could be spelled McGowen or McGowan. In census it says he was born in Tn. I do not have a birth date but his children were born in the 1830's. He married Melinda Thomas in Kentucky and they moved to Indiana where their children were born. I do not know his parents or siblings. My other brick wall is Robert Forest Hargraves which could be spelled differently. He was born in 1844 in Missouri. I do not know his parents or siblings. I know who he married and who his children are. Thank you. My Grandmother Natalie Benke (Behnke) born 12 Sep 1885(?) in Falstinowo (Fauchinowo)?? Poland, Russia, Prussia (depending upon the year) arrived in Chicago in 1906 according to the 1920 census. She said she came to this country illegally and was always worried about being deported. Her brothers and sisters (Friedrich, Rudolph, Adolph, Olga) all came through Bremen Germany and Baltimore Maryland she is the only one I cannot find immigration records. Despite the fact that I have information that should have let me find my grandmother's roots, that is not the case. Her name was Anna Bojarska, born in July 1876 to Franciszek and Florentyna (Chodkiewicz) Bojarski. In 1892, she arrived from Russia Poland (town given was Poluzyn). She had been orphaned at the age of 5 and I believe she arrived with an aunt and cousin (Lucyna and Vicenta Grochowski). There is a chance he might still be alive. Good luck! Thanks, Kathleen! This has possibilities in that the year of birth is the same, the SSN was issued in NY & her parents (my maternal grandfather's brother & sister-in-law) both passed away in Scottsdale. I'd searched using Elaine rather than Elayne & the SSDI never came up. Thanks again! Wow! Glad to see you replied. I was wondering if you would come back to the site to see my answer. Good. I hope the information pertains to your family. Once I found Elayne on the SSDI and couldn't find Joe, I went looking to see if I could find a Joe Turner in Scottsdale - and also living in the same zip code as what Elayne had down for her last residence. It all made sense to me. Give the phone number a call and see what else you can find. Good luck! My brickwall is Jacob Arney, who died in Lincoln County, Nort.h Carolina in 1784. It was once believed, by early Arney researchers, that this Jacob Arney was the son of Frederick Ernigh, who arrived in 1732, via The Pennsylvania Merchant ship, captain John Stedman, September 11th, 1732. Research into the Pennsylvania State Archives proves this to be false, for this Jacob died in Pennsylvania, leaving behind a widow, Barbara. My Jacob Arney, had a son, Christian Arney, Sr., born in York County, PA in 1750. This same Jacob Arney moved with his family (including Christian) from Pennsylvania to North Carolina in 1767. This Jacob Arney's will, the actual original will, still exists in the NCSA (North Carolina State Archives in Raleigh, NC). One of Jacob Arney's sons, Peter Arney, in 1787 (age 15), labeled as an "orphan by the court" was bound over to a John Fullenwider, to learn the trade of a miller, until the age of 21. Peter Arney was born in Tryon (now Lincoln) County, North Carolina in 1772. So, we know where Jacob Arney was when he died in 1784, in Lincoln County, NC. We also know that his son, Christian Arney, Sr. was born in Yok County, PA in 1750. We know who Jacob Arney is NOT the son of, Frederick Ernigh (who died in Pennsylvania in 1771). We do not know for certain, this Jacob Arney's siblings nor parents, nor where this family came from, was Jacob born in the USA or was he born abroad and arrived on a ship, we don't know. We don't know when or where Jacob Arney was born (but speculation is Switzerland or Germany). There lays the mystery of Jacob Arney (of Lincoln County, NC), a mystery over 225 years, in the making, who was Jacob Arney? who were his siblings? who were his parents? was he born in the USA or somewhere abroad? OK David, I am new to family history research (18 months) and I have a brick wall. I haven't asked for help before, but then no one has been kind enough to offer. My GGGrandfather CARL FERDINAND KOPF was born 2 Feb 1827 in Germany. I do not have the town, but it is somewhere near Stuttgardt, in the disctrict of Sulz. I know this because I have his Wunderbuk. I found his arrival in USA in New Orleans on the Espinolda on 5 Apr 1849. The name directly below his on the manifest is Catherine WEGNER, born 1812, who I assume became his wife because I next find CHARLES AND CATHERINE KOPF in 1870 and 1880 census in Washington County, Illinois and their birthdates correspond. I can't find a marriage for them locally in Illinois nor can I find either of their deaths or buriels. They evidently had one son, CARL OR CHARLES (maybe) KOPF. No birthdate for him but I have a marriage to CHRISTINA (nee Benner) SCHLESSINGER 24 Oct 1886 and a death date of 29 Oct 1893, when my Grandfather was 3 or 4 years old. My Grandfathers name was BRUNO KOPF. I have a tree on Ancestry.com. Just search for Bruno Kopf and go to my tree, Karens Kin. You will be able to see my documentation. Most of the info came from Church Records and newspaper archeives. I have yet to go to the Washington County Illinois courthouse, because I understand that thier records are very hard to search and my time is limited since I am still working full time. I think my brick wall is interesting because I have documentation from my GGGrandfather Carl Ferdinand Kopf, and nothing really substantial until my Grandfather Bruno Kopf. I also think my GGGrandfathers marriage might have happened either on the ship during passage, or between New Orleans and Illinois, but I don't know where to begin to look. Thanks for giving this a look. Mary Hartford was my ggrandmother. According to the 1900 Manhattan NY census, she was born May 1868 in Ireland of Irish parents, emigrated to the United States in 1887 and married John McCormack in 1892. Together they bore one daughter who died within a year, and four sons. This is the sum total I know of my ggrandmother. I cannot locate any other census records, immigration records, where in Ireland she was from, any other family members (although my mother seems to remember a cousin with the name Agnes Hartford,)marriage date or place,or death records. Joseph Henery Hyland was born in Nov 1863 somewhere in Ireland. According to the 1900 census he emigrated to Manhattan NY in 1885. Also according to this census he married Anna Keegan in 1892. He and Anna had four children, one daughter (my grandmother) and three sons. He appears again on the 1910 Manhattan census, but that's it. By 1920 his wife had re-married. I cannot locate bmd records,other family, immigration records or naturalization records. Thanks again, Kathleen. I check out this site whenever I see a new post on Cyndi's list. Also, had to keep following this thread in case someone (like you) responded. I have a grgrgf who was born in 1812, day not known, in Berlin N.Y. He had eight children which I have found. I know nothing of him before this (parents etc. )or when he died or is burried. The last census I find him in is the 1880, where he appears with his last son Winfield at age 18. His wife is Nancy (no maiden name)and this was from the 1855 N.Y. state census. I also don't know when Nancy died or is burried. My grand father,Joseph/Josiah Brown and his sister Rachel J. Brown were born in Daviess Co,MO. He on 15 Dec.1854, she 11 Feb,1854. Their father was William Brown according to his death certificate. Their mother was Mary Ann Ellison,b.Little Rock,AR,1837. There was four local William Browns that had a shot at being the father! How do you pick between them as all I have is his name? I cannot locate her burial plot (even though they lived across the street from a cemetary)or an obituary. I can say that my father left college in CA in about 1930 and came to NY to work in a research facility for a large oil company in Glenham (Beacon. )I would presume she was of a similar age to my Dad. Her father might have been Daniel, but that and her date of death are all that I know. I want to find out who she was,where she was born, where she and my father met,where and when they were married. There is no one left alive who knows these things, and I am stumped. Hey folks! Thanks to EVERYONE for their great posts. I hope we can get all of these conundrums solved one way or another. I've posted Round I of the results as a new blog post, so be sure to have a look. My Ggrandfather William Souter born 1813 in Sussex uk Joined the army in 1831 & whilst in Ireland married Catherine Keane in 1843.He gave all his children the middle name Brockhurst which is not his mothers name or any other relation.Cannot understand where this came from. the dead husband, or maiden name and birth place of Philena. I have followed through on all their natural children and found nothing to solve this in their extant documents. Sorry I did not catch that typo. The approximate birth date of Philena Cobb should be abt. 1775, like her husband, William Whitteker. According to both the 1900 and 1910 census for Duluth, MN my ggrandfather (Michael O'Connell) was born in New Hampshire in Aug 1849. According to the 1880 (federal) and the 1885 (state) Moorehead, MN census, he was living with a cousin also named Michael, he was born in Missouri. He married the Elizabeth Fidler mentioned in the 1885 census and had a son William (my grandfather). All the census searches that I've done find the only other Michael O'Connell born in 1849 in NH in an 1870 census from Michigan but I have nothing else to connect them. I've tried to research the line of cousin Michael but with that name it is almost impossible. Michael died in Superior, WI on May 21, 1917. NEVA (NEVORA)PORTER'S FAMILY - My maternal grandmother, Neva Porter, was b. 04 Jul 1872 or 1873 "somewhere" in KY. You were not going to catch her anywhere with her parents; but in the 1880 US Census because she married my grandfather, Benjamin Whittaker in 1890 in Charleston, Kanawha Co., WV. She does appear with her widowed mother, Mary in this Census for Charleston where it shows their birthplaces as being VA. However, all of her extant documentation shows that not only she; but, her parents as well were b. in KY, no mention of a town or county. There is no record of the deaths or burials or remarriage of her mother or father in Kanawha Co. I do believe the mother to have been still alive in 1890 as the marriage of Neva shows "mother present", although not named. Only Neva herself shows in the City Directories of Charleston (sporadically) with the names "Neva Porter" and "Nevora Whittaker"
(in 1898). They were living on the other side of the Kanawha River in 1880, in what would be incorporated as "South Charleston" in 1919. I can find no records pertaining to this area before 1919 other than land records. I have checked the old cemeteries in South Charleston, no cigar. Neva Whittaker d. 1926 in Cincinnati Ohio. I have obtained the records, including the SS applications of all her children, which does nothing to clear this mystery since they did not seem to know where their mother was from. My own mother was adamant that she was from KY. One of my mother's sisters claimed to have been born in Green River, KY. This turned into one of the biggest wild goose chases as the place no longer exists. When I did find out that there was one in Letcher Co. KY in 1890, the only bldg. left there is an old church that looks more like an outhouse than a church. My mother also told the story that the Porters were related to the McCoys of Hatfield/McCoy Feud fame. I did find in Pike Co. KY that one John Porter married into the McCoy family, however can find nothing to tie my Grandmother to this line. I have been researching all the Porter families of all of the bordering counties between the KY and WV border without any success so far. I have even checked the court records of Kanawha Co. with no cigar as well as all of their cemeteries. I am attempting now to have someone search all the bordering counties for the birth of Neva; but this was not a good time in KY for documents. They were sporadic at best in the 1870s. PROVING THE REVOLUTIONARY WAR SERVICE OF PETER SHIELDS - Very interesting puzzle as Peter claimed to have served on both sides during the war. The story is told in the history books of the 3 counties where his children lived. He came to America with the British Army, deserted, then joined the American side, culminating in his having witnessed the surrender of Cornwallis at Yorktown. The story was at first accepted by D.A.R., then later, a note was added to his file that future applicants must prove his service. Other researchers have claimed that he fought with the Continental Army; but, I found this not to be true. However, every bit of research that I have done so far seems to point to him having served with the VA Militia which was present at Yorktown. He did not apply for a pension; and, this fits as he would not have been eligible if he were in the militia. He did not apply for bounty land which he would not have been eligible for either in these circumstances. One of his grandsons was named "Weedon" Shields and this was the first clue that made me start looking at the militia as an alternative. Gen. George Weedon was in charge of the entire VA Miltia at Yorktown. The next in command on down the line was a Col. Joseph Neville. There was one company many of whose men came from Hampshire County, where Peter received 70 acres of land as an assignee which originated from Joseph Neville. This company was commanded by a Capt. George Bell and was present at Yorktown. The big problem is finding militia records of the enlisted men, many of which were destroyed, or kept God knows where. The library of VA has nothing on this company, nor does the VA Historical Society. Failing that, I am searching for the British Regiment he was a member of to place him in the area where he may have wound up in George Bell's company. The soldiers documents have all been filmed by LDS and are under the dubious title of "Soldiers' Documents". It is a large and laborious task; but well under way. Any suggestions from anyone who might be familiar with records of the VA Militia would be greatly appreciated. My brick walls are shared with a number of other researchers. None of us can find their parents. I am particularly interested in both of these women, because my grandfather said there were Native Americans in his lineage, and since these are the only 2 I can't trace, I was thinking one of these may be of Native American descent. Everything else my grandparents ever told me about their ancestry has turned out to be true. I would just like to know if the Native American part is true. If not, it won't bother me. I just want to know. The first one is Polly ELKINS, born May 4, 1782, possibly in New Hampshire. She married David HOWE (b. 1768, probably in Connecticut). They lived their lives in Tunbridge, Vermont. David died in 1828, and Polly lived until 1866. The other is one of her daughters-in-law. Her name was Lovina/Lavina/Lovena SEVERANCE. She was born February 14, 1824, in Randolf, VT. She married Rhino HOWE (b. March 5, 1807, possibly in Grafton, New Hampshire). They also lived in Tunbridge. She died June 23, 1883. You didn't mention any names, so the first thing I would do is 'Google' Berlin, NY Town Hall and Berlin Historical Society and give the Town Hall a call to see if they can find your G-G-grandfather's birth information and marriage certifcate. I would also ask them to look up the eight children's birth certificates to see what parent information they hold. I don't know what the Town Hall would charge, but I think you might find a goldmine. The Historical Society might have some information on his family, since he was born there in 1812. It gives you a start. P.S. Also... google Berlin, NY cemeteries, starting with June 1880. Original posting: I have a grgrgf who was born in 1812, day not known, in Berlin N.Y. He had eight children which I have found. I know nothing of him before this (parents etc. )or when he died or is burried. The last census I find him in is the 1880, where he appears with his last son Winfield at age 18. His wife is Nancy (no maiden name)and this was from the 1855 N.Y. state census. I also don't know when Nancy died or is burried. Ask the cemetery official to start looking for your G-G-grandfather's death certificate from June 1880, on. 1837 at Tunbridge, Vt. and died 27 June 1906 at Panama, NY He married 16 Mar. You would have to consult the print version of the book to get the full entry, to see if there's any information there you don't already know. Hope that's useful. My name is Ann and I have a couple of brick walls. One is my great great great grandfather, Jilles Jeukens Jan. 26, 1776 - Dec. 21, 1814 - died in Leiden, Holland. Married Barendina "Dina" Van Eijsden Nov. 3, 1804 in Dordrecht, S. Holland. He was a soldier in the Napoleonic wars. My great great grandmother, Sophia Petronella Jeukens was his youngest child. I think he was the son of Pieter Jeukens b. May 10, 1744. I would love to know who his mother was and learn more about his background. My other problem is the parentage of Emeline Cole Apr. 13, 1869 - Apr. 27, 1925, in Lennox and Addington Co., Ontario, Canada. Her full given name is supposedly Ida Emeline. Her mother was Sarah Jane Baker Hill, b. Apr. 30, 1848 in England, d. Jan. 13, 1918 in Picton, Prince Edward Co., Ont. Sarah married Daniel Isaiah Cole Mar. 29, 1827 - Aug. 11, 1916. They married in Napanee, Ont. Apr. 3, 1872. It is uncertain if Daniel is Emeline's father. Sarah Hill's father died when Sarah was just 12 years old, leaving a Caroline or Catherine (nee Baker, the given names seem to be interchangeable) and six young children. The family was split up. The mother later remarried to Ira Presley. In the 1871 Census, there is a Sarah Hill, age 19, b. in England, living with the Samuel Clark family. Listed underneath Sarah is a child, Ida McKossie, who is 11 months old. I believe this child could be Emeline. I would certainly appreciate any help that could be given to solve either of these problems. Thanks. I have one and a half brick walls. My grandfather, Gosta Sigfrid Andersson, was born in Stockholm, Sweden on 26 April 1893. I have a copy of his birth record, the name of the midwife and the minister who baptized him! but his mother? Unknown, it reads. The he disappeared for 7 years and finally showed up as a foster child in the Andersson home in Karlskrona. As I am sure you know, the Swedes listed every person every year in the church records, so it is literally impossible to "disappear." Where was he for those seven years? We think he was in Stockholm living in Katarina parish with his mother. If I could find that out I would know who my great-grandmother was. The family speculation is that he was actually the son of one of the unmarried Andersson daughters...Sigrid Augusta Elenora Andersson. When the father died in 1908 the mother brought her family to America. My father knew her as Aunt Ellen, but we believe that she was really Grandmother Ellen! So, Ellen married August Hedlund in Akron, Ohio and later separated from him. She died in Buffalo, New York after 1941 but we cannot find her. Where is she buried, where is her death certificate, where is an obit? Did she have a will that could possible shed light on who she really was? This has been a life-long mystery. Any thoughts or suggestions will be greatly appreciated. For Kathleen Tracy. Wanted to update you (& making a long story short). I wrote a letter to Joseph Turner in AZ & rec'd e-mail from one of his & Elayne's daughters. Coincidentally, as I was typing this, Joe Turner called me! Thanks again! I cannot find Uriah Lenoir after 1900.b 1835 in NC and owned by Thomas Lenoir of Haywood co NC.Who were his parents? My GGM Dorcas Smathers bought off the auction block in Charleston SC by Levi Smathers of Haywood Co NC with her 4 mos old son Jefferson .Who were her parents? Who owned her before being sold to Levi? As both of these are my GGparents, it is truly frustrating not to know anything regarding my ancestry. Please see my post on my "mystery" grandpa Robert Bunyan Hall, whose life from c. 1873? to 1918 is still mostly a mystery to my family. Well I also have 2: Rebecca Nation b1750-52? Alabama- Cherokee Indian- married Abraham Nation b1742 son of Christopher Nation. Where did she come from? Who were her parents? Secondary- my husbands great-grandfather is listed in the family bible as being named Awford Thomas Davis b 1894 and the only records I have ever found on him show him born in Chatanooga and living in Hamilton County but nothing shows parents names!It says father born in Georgia mother is TN..where did he come from? Rumors in the family are about a relation to president Davis but who knows if this is true. HELP! I have a brickwall that no one has broken through from many years. My 4g-grandfather William Wheeler was born about 1774 in PA. We know nothing about him until he married in about 1800 in Lycoming County PA to Maria (Mary)Catherine Windland. She was the daughter of Henry Windland and Dorthia Driess. The obituary of his son, John Windland Wheeler, states that he was born in Lycoming County PA 6-7-1810 and that same year the family migrated to Monroe County Ohio, where Wm and Mary lived the remainder of their lives, both dying in the mid-1800's. So William's father is the brickwall. We don't know his name, and according to one Monroe county history book his mother died shortly after his birth and his father was killed in the Battle of Brandywine. The three sons, including William, were "bound out". We know nothing of his brothers either. There is speculation that he was born in Berks Co. PA, but I believe that is another person named Wm Wheeler. --A William Wheeler of Lancaster County was listed with 3rd Battalion, 2nd Company of the Pennsylvania State Milita in 1780. --A similar listing is found for 1781, although for the 3rd Battalion, 4th Company. --There's also a Revolutionary War-era listing for Henry Windland of Northumerland County, but the military unit information and date is blank. never knew her grandfather. This is what I have found her grandfathers name was John Wesley Hudson Jr he was born Crawford County,Ga Jan.18th 1930 he died in Chico ,Ca Jan.18th 1994. Chico ,CA he was cremated and remains are in the niche in the Veterans Court of Honor in Glen Memorial Park in Chico. According to the funeral home their probably was no obituary. John Junior was 3.5 months old their was a child of 8.5 months with no name. married at the First Baptist Church of Anniston,Al they divorce in 1952 in Anniston,Al. MY BRICK WALL: My ggfather,James Hollingsworth was born in 1851 Clay County Kentucky. His father was Squire Hollingsworth(b1822), mother Margaret Hammonds (b1810). James married his father's first wife's(Sarah Sally Potter) sister, Susan Potter(b1835) Elkhorn Kentucky. Susie's sister, Sarah died in 1848, probably child birth.James was 18 and Susie was 35 with three children when they married in 1869. After that marriage, Squire and all of the other family moved from Clay County to Jackson County, Ky. James and Susie moved from Clay County to Pike County. The last record anyone has on James was in the 1870 Clay County Census living with Susie and her three children using the name of Hollansworth. James and Susie had 3 or 4 (?) children. Excellent records exist on Susie and all the 7 children beginning in 1900. Nothing that anyone can find exist from 1870-1900. The family does not know when,how or where James died. Rumors say abt 1885. MYSTERY is his three Hollingsworth children changed their last name to "Holland" sometime after 1900. No one knows why. My Mom, Frona Holland, was born in 1907 to Issac Holland (born 1871 to James Hollingsworth and Susan Potter) and Mary E. Smallwood. I would like to know where the family was during 1870-1900 and when/where/how James Hollingsworth died and is buried. My brick wall is birth records for Arkie May Tarver, born between 1880 and 1884, in AR. I do not know the names of her parents or siblings although her Mother's maiden may have been Smith. I think it's great that a website for free information exists. It would be better if you had headings on top for various subjects so people wouldn't have to search through all the blogs. Examples are links to free death, birth, marriage information and so forth. Thank you again for what you are doing. My Great Grandparents do not exist until the date of their marriage. Wesley R. Russell supposedly born 1864 in Milltown Putnam Ny Married Minnie E. Bertz supposedly born 1873 in Pawling NY. They were married 1889 In Danbury CT. Minnie list her parents as Eugene Bertz born Germany and Mariah Stowe born NY. On some other documents she list her mother as Deborah Stowe. Wesley list his parents are Balis Russell and Sarah Barrett. Sarah Barrett has an extensive family history from Putnam Co but not with a husband named Russell or a son named Wesley Russell. I can not prove parentage on either one of these two people. Minnie died in 1921 in Danbury Ct and Wesley Died in 1947 in Danbury CT. He had been married five times total. they are both buried in Wooster Cemetery in Danbury. Until I can prove parentage on these three people I can go no further in my research. Thank you for any help.